Building in Montana Samara-choosing your lot, building your home. Welcome to the official site of Montana Samara Estates! 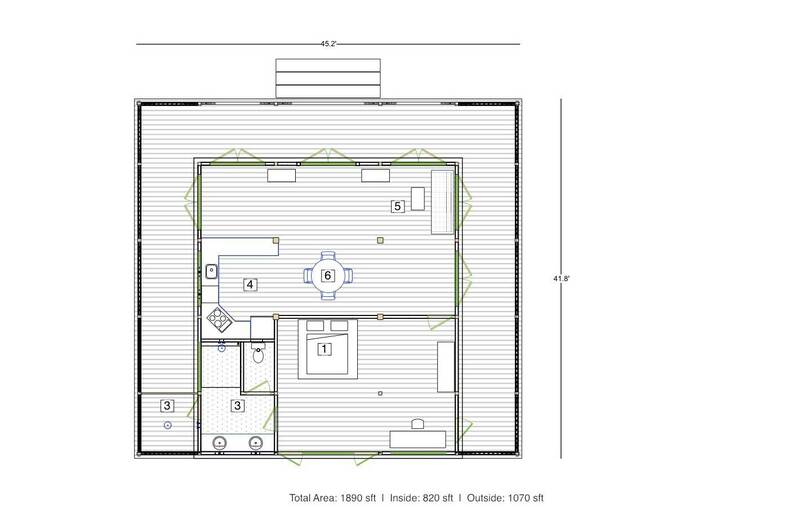 We make it easy to find the perfect layout for your new home. You have the option of using your own builder. Hiring a builder is not just a business transaction, it is a relationship where comfort, trust and reliability are monumental. We have recommended builders who have your complete satisfaction as their focus, but you are welcome to pick any builder you are most comfortable with. 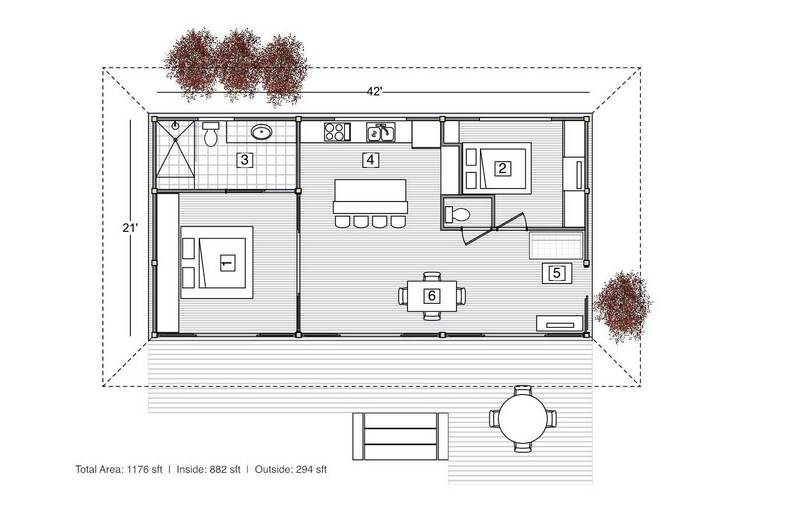 You can choose from one of our home designs or bring your own. You can pick one of our designs and use one of our builders or your own builder. The process is easy. 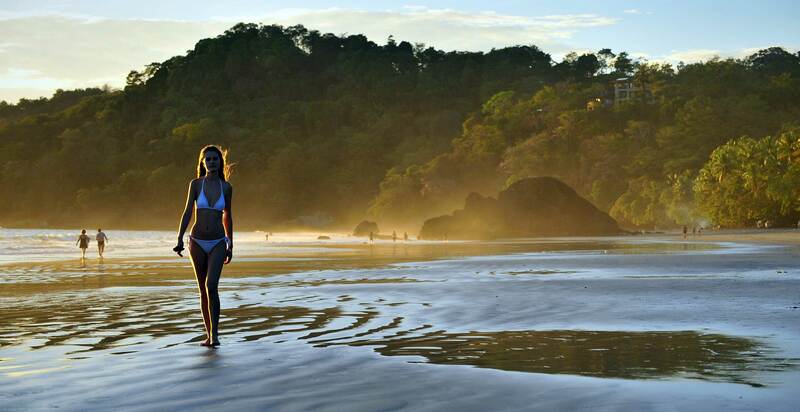 Visit Samara, Costa Rica to see our properties first hand. Travel the roads, see the views and enjoy the breezes. After you have a good idea of the lay of the land, you can start narrowing down the type of home site you would like to live on. 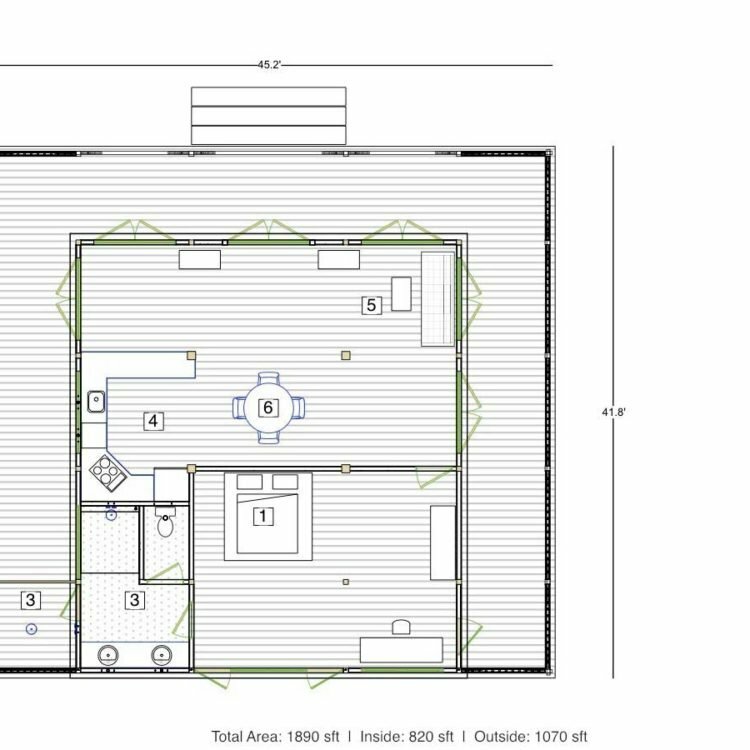 With the variety of designs and layouts that are available we can make almost any site you pick work for the home you want. After picking the home site, you and the builder should meet on the site. After assessing the site, you and the builder will be able to select the home design that would work best and start to make it your own. From a financial standpoint, one of the biggest benefits to investing in Montana Samara is that you are investing in a pre-construction development, so you pay pre-construction prices, but you are buying into an established community with property values and comparables of over half a million dollars. 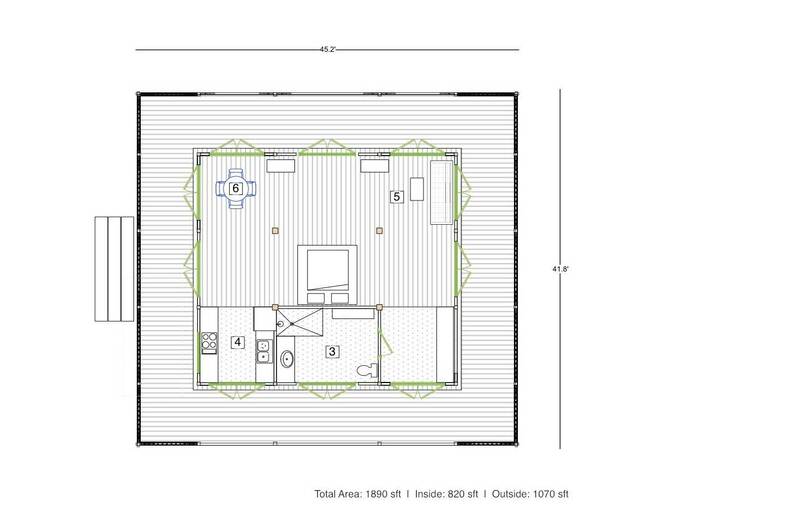 Some of our building plans. 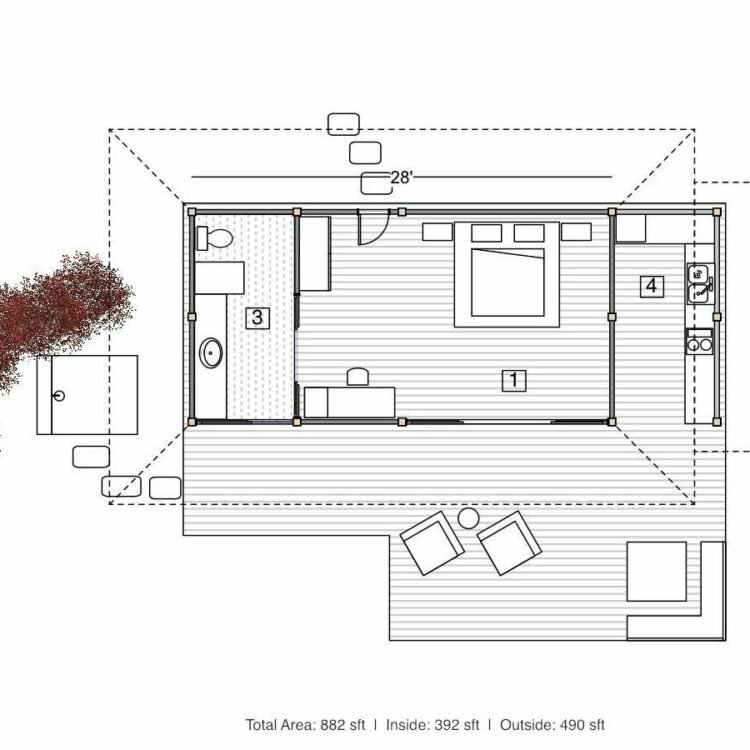 If you have a narrow lot, Buena Facia is perfect for you. 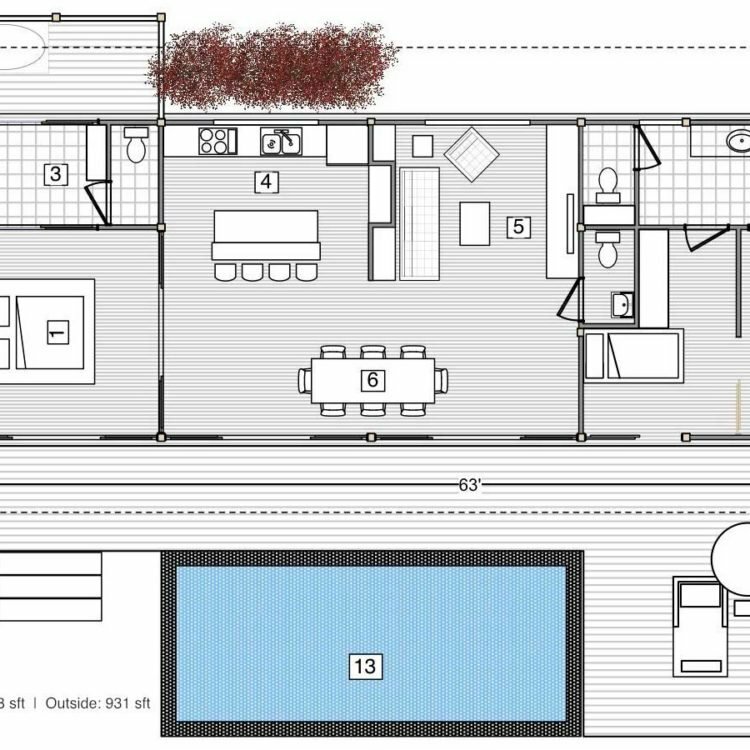 At only 33′ wide, it still packs 3 bedrooms, 2 full baths and one half bath into a very livable 2-story great room floor plan. 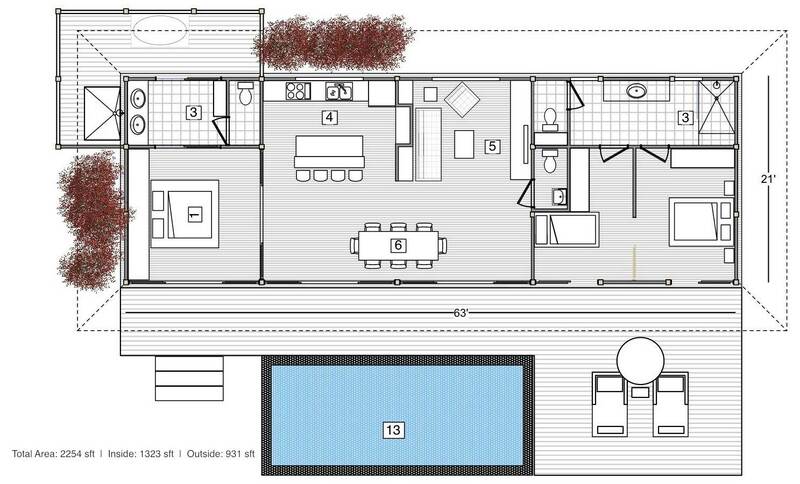 A 22-foot, two-story ceiling greets you as you enter, giving this floor plan a nice open feeling. 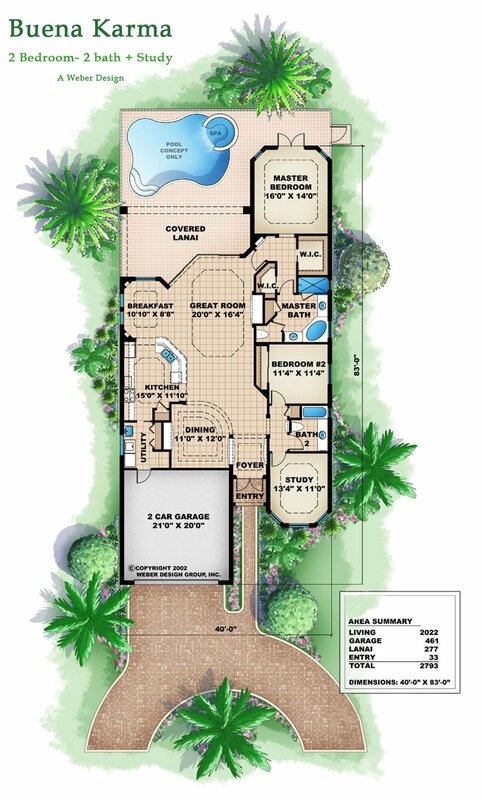 The home also features a covered lanai off the great room, and a covered balcony upstairs. Impressive 12 and 13′ ceilings grace the common areas of this house plan creating an easy living open floor plan for all to enjoy. Keeping with a Mediterranean influence, this house design features large windows, and tiled roof with large overhangs. This also helps to make the home energy efficient with a large portion of the back covered. The great room leads out to a large covered lanai where the homeowner can host friends and family enjoying indoor and outdoor. 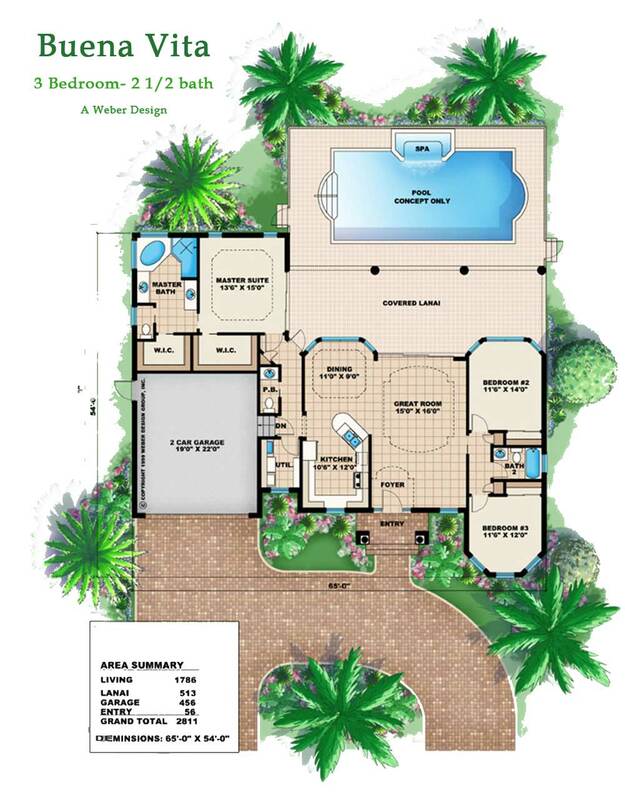 The home plan features thr3ee bedrooms, two full baths and a pool bath. The master suite has two large walk-in closets, two vanities, a corner tub and separate shower. 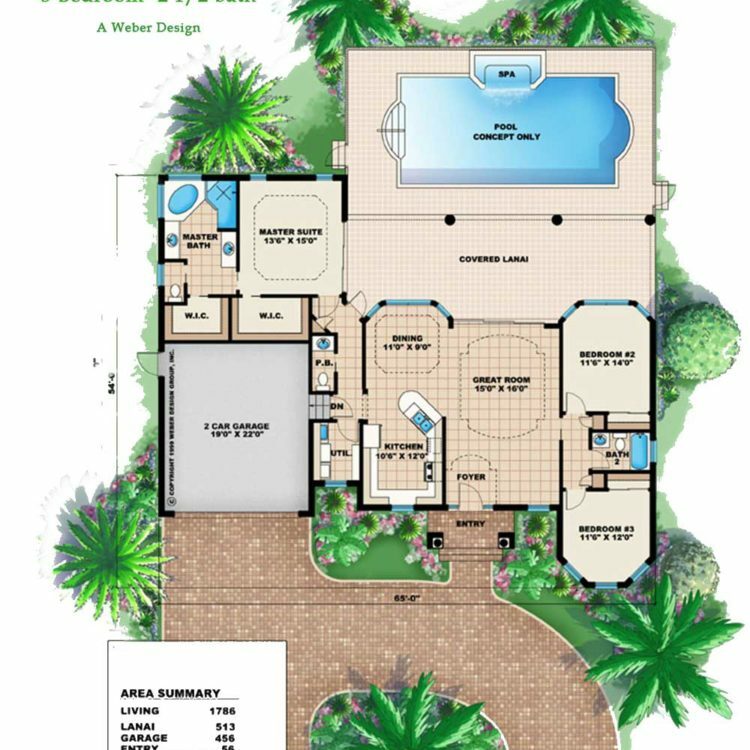 The Buena Vista home plan features 4 bedrooms and 3 full baths in 2200 square feet. 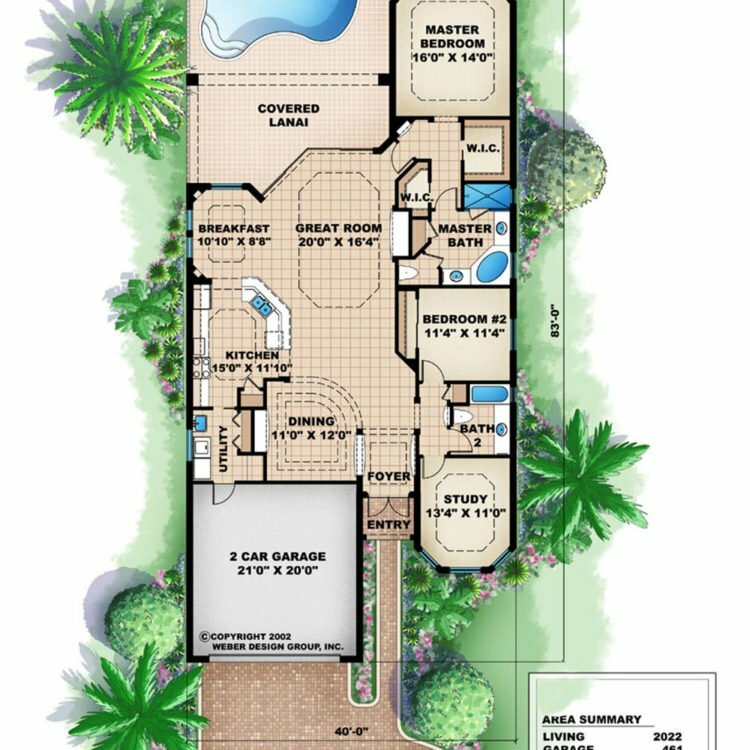 The house plan features a great room layout with a formal dining room, and a breakfast nook that looks out to the covered lanai. The master suite is a homeowner’s retreat for relaxing in the spacious bathroom outfitted with a huge corner shower, dual sinks and a corner garden tub. 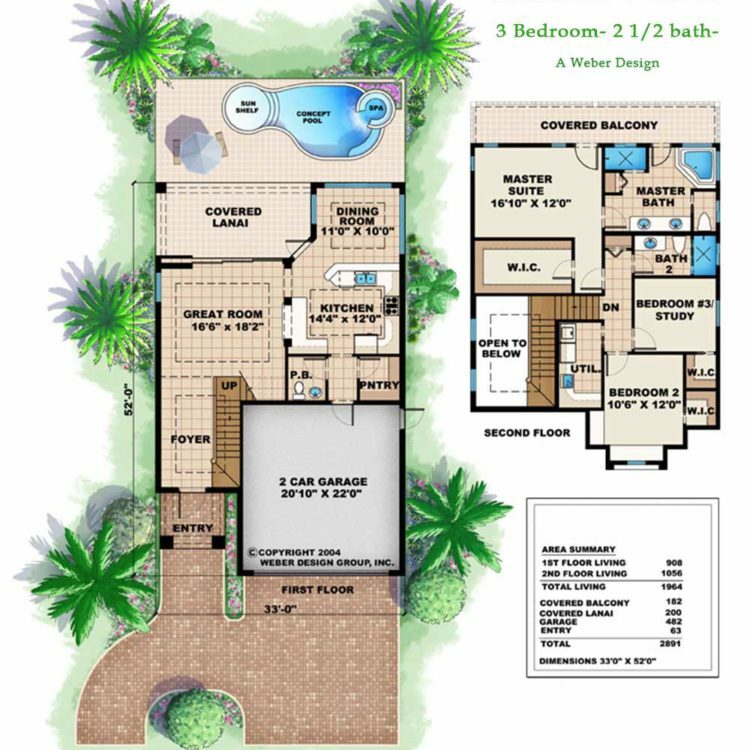 This Tuscan style house plan is well suited for a narrow lot. 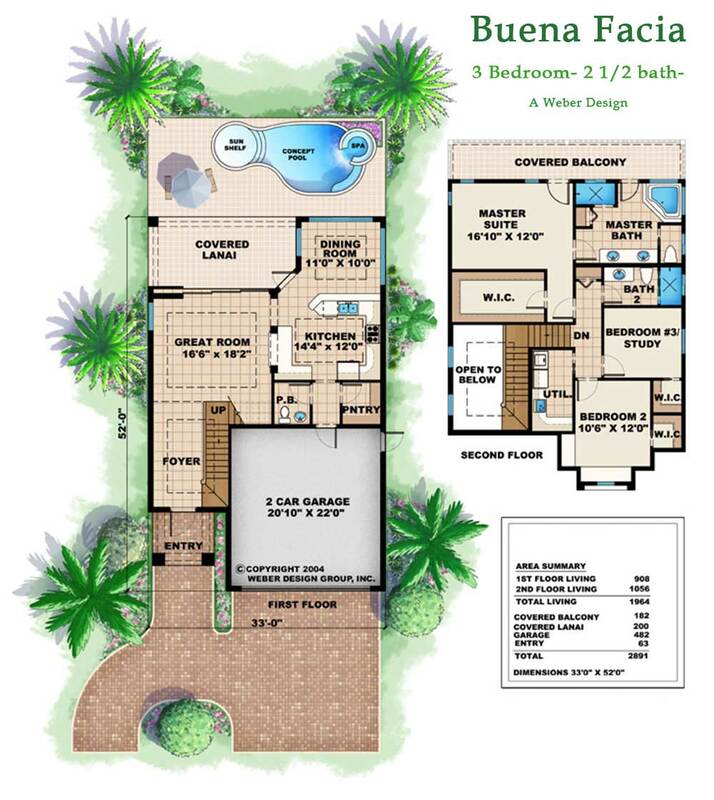 You’ll find two spacious walk-in closets in the master suite and a master bath with dual sinks and corner garden tub. 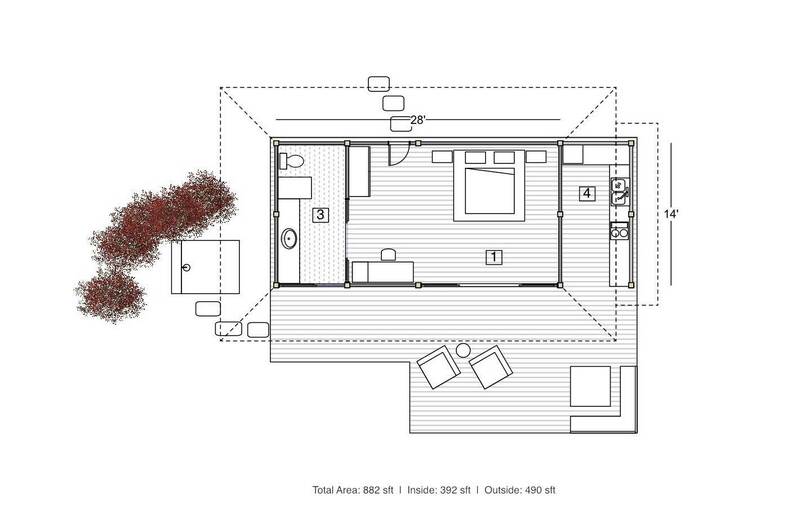 This floor plan also features a study or 3rd bedroom with a bay window. There are zero corner glass sliding doors leading from the living room to covered lanai creating a seamless transition to the outdoors. Completed 1 bedroom home with great views and natural living design. 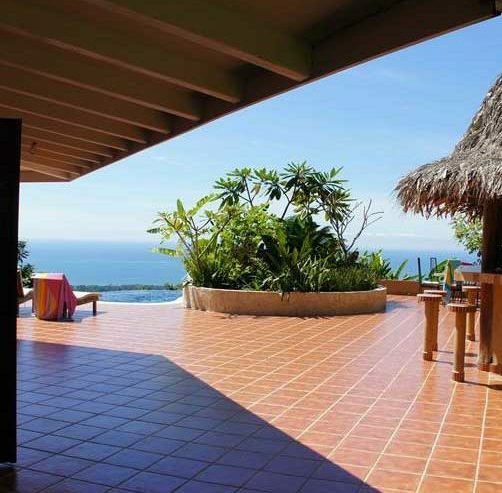 Completed 2 bedroom home with rich wood finishes, pool and expansive view to the Pacific. 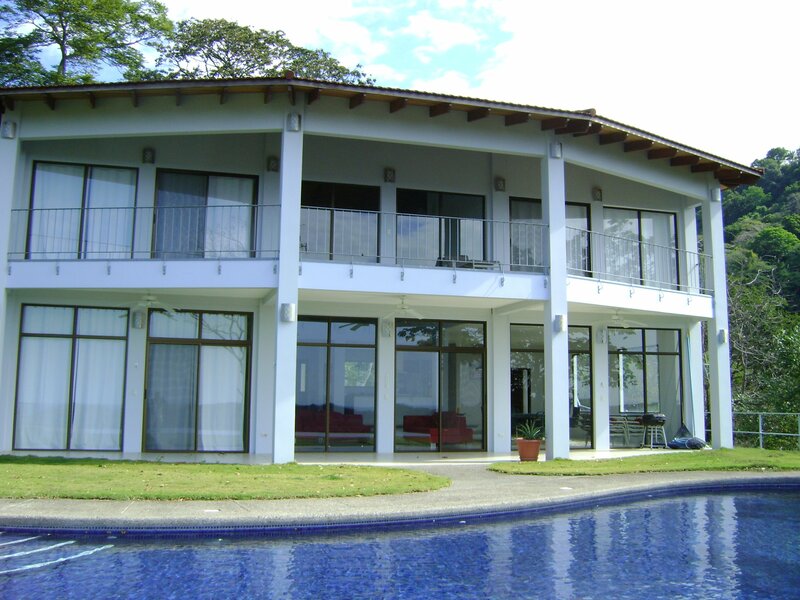 Luxury home with expansive ocean views, 3 Bedroom, 3.5 baths with balconies and swimming pool. 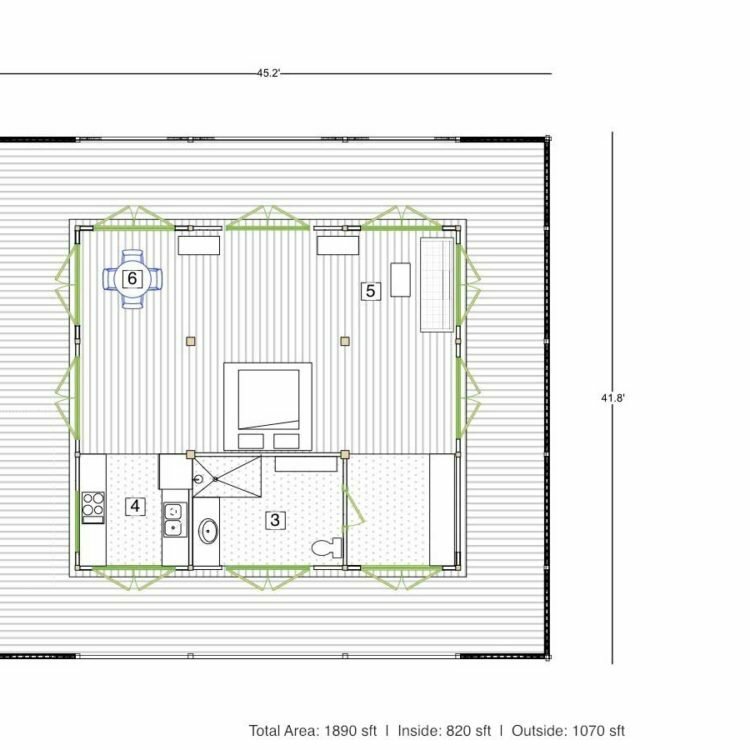 Finished 1 bedroom studio with separated bedroom and pool. 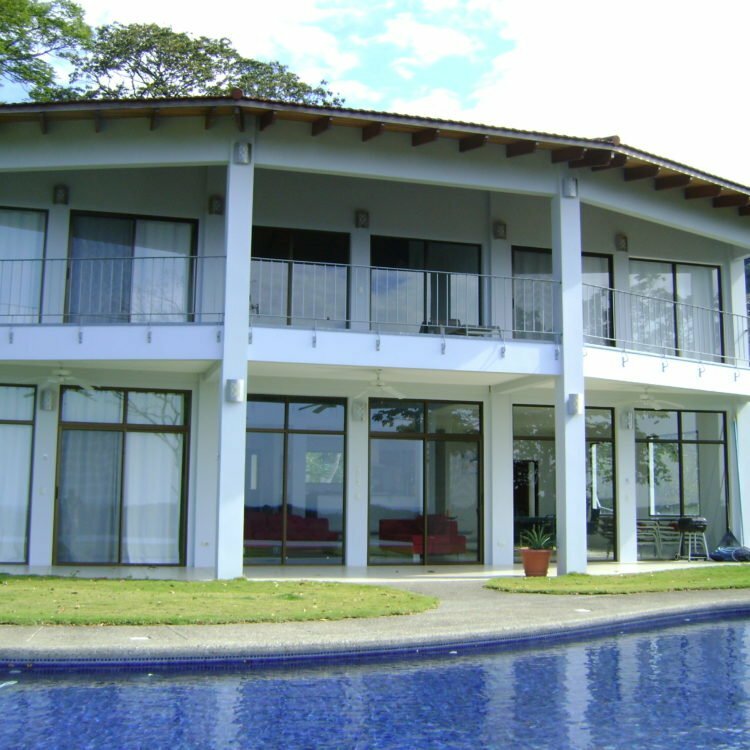 Spacious 3,800 sq ft home with pool, luscious landscaping and wide ocean views. This gorgeous and spacious 3 bedroom home is designed specifically to give you expansive views from every corner of the house and converges the focal point into the middle of the open floor plan. 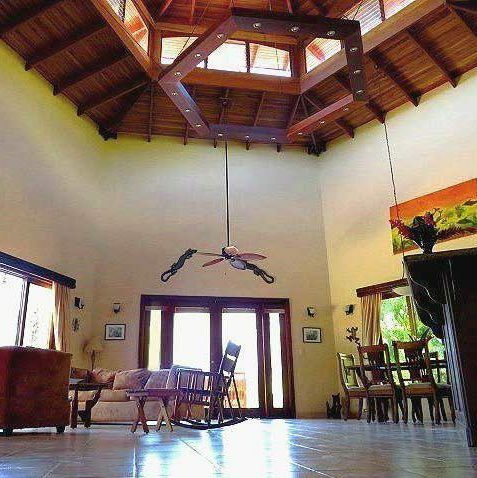 Built to act as a conduit for wind, this rich and beautiful model has constant gentle breezes blowing through the entire house keeping it cool and airy. 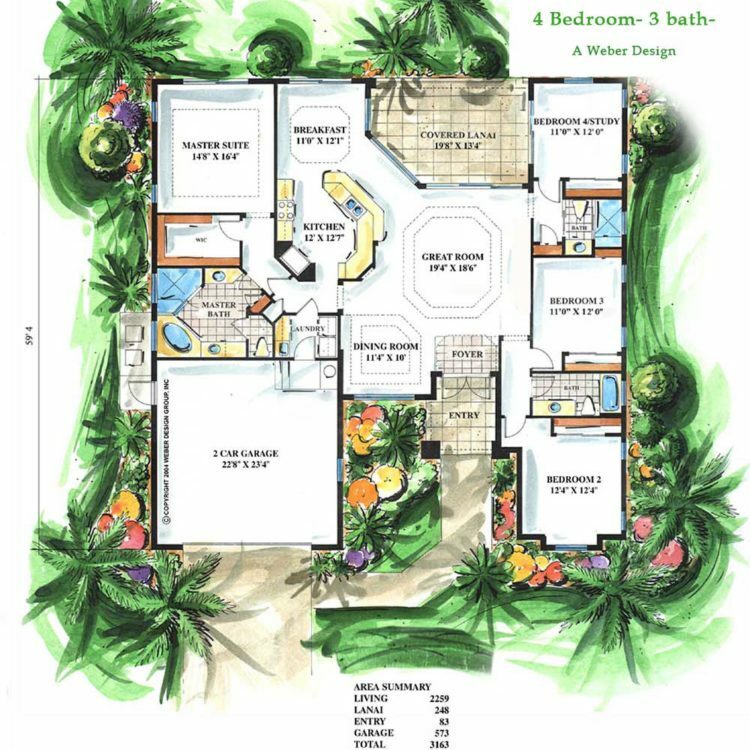 Sleek and modern in it's feel, this traditional South Pacific style layout gives you the best of both worlds; traditional feel, with clean, modern finished. 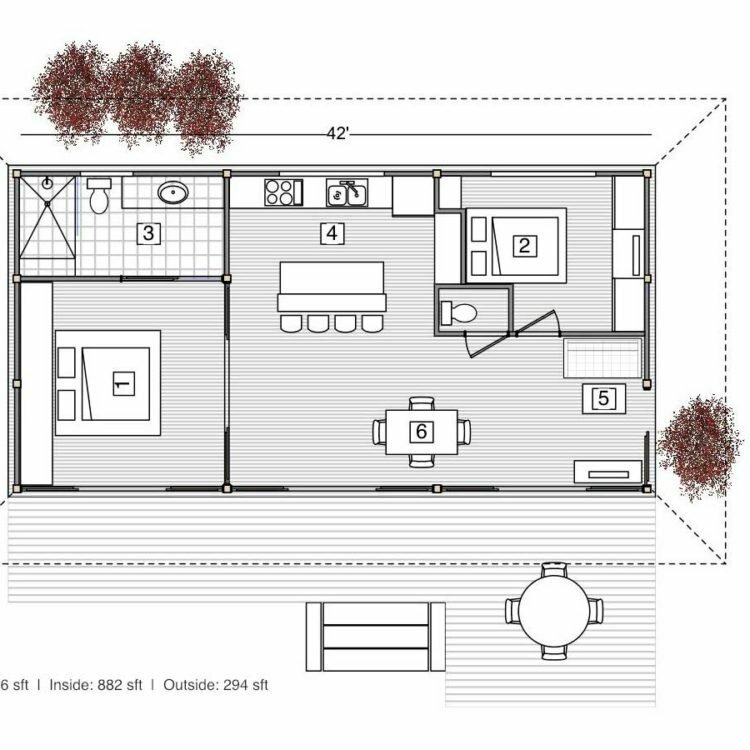 This 2 bedroom design has plenty of open space bringing the surrounding nature and views right right into your home. Feel Zen in this one bedroom open floor plan. 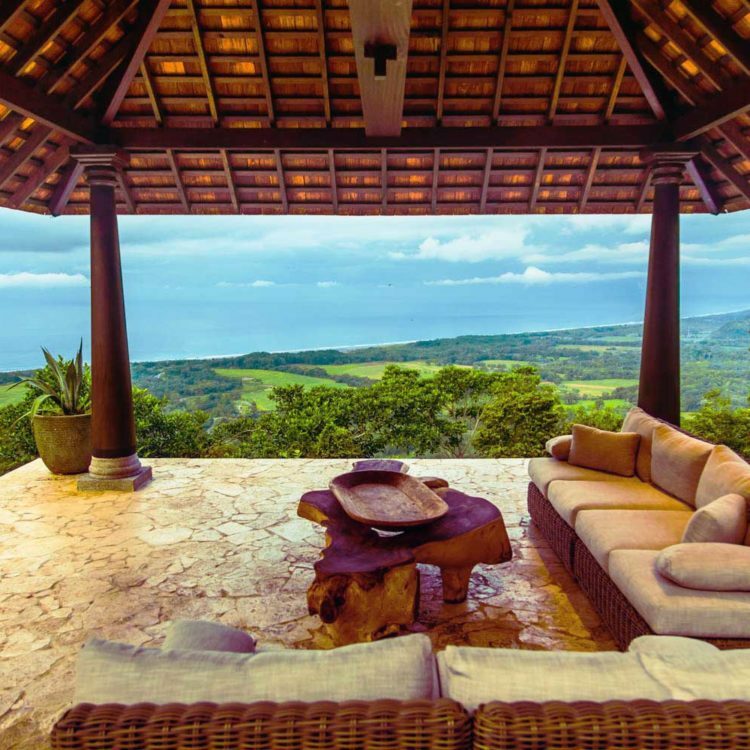 Surround yourself in rich natural wood and let the design of this home connect you with nature as you enjoy the outdoor living design. 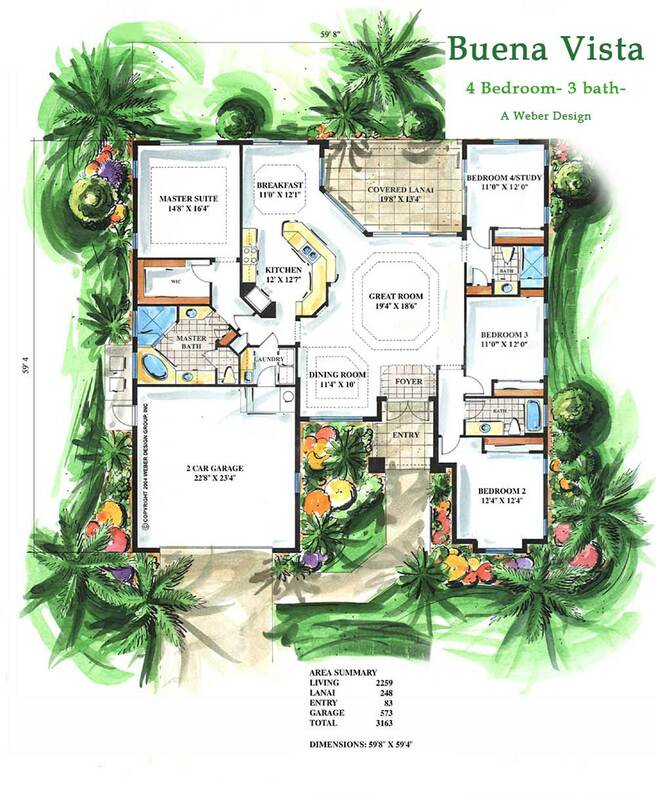 This traditional layout gives you the look and feel of being in the South Pacific. This one bedroom studio is designed to give you a free and open feeling in the common areas, while allowing you the privacy or seclusion of a separate bedroom. 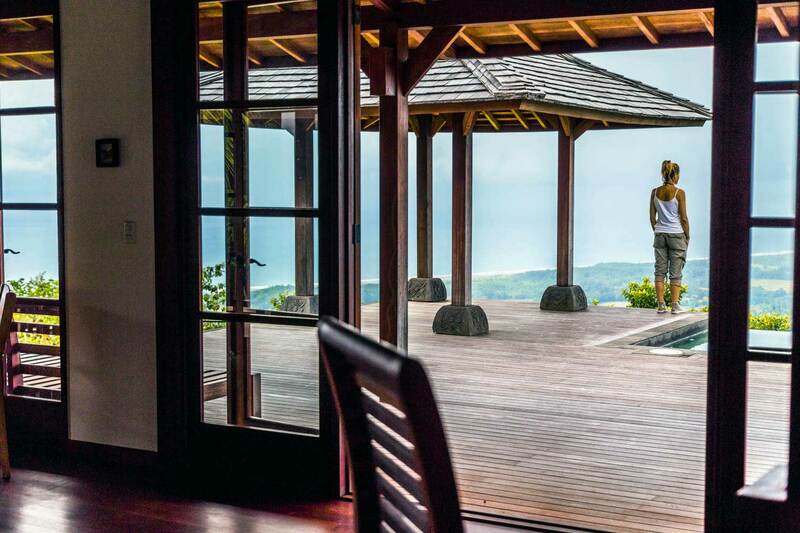 A clean and modern look with the overt flavor of traditional Pacific Island homes. 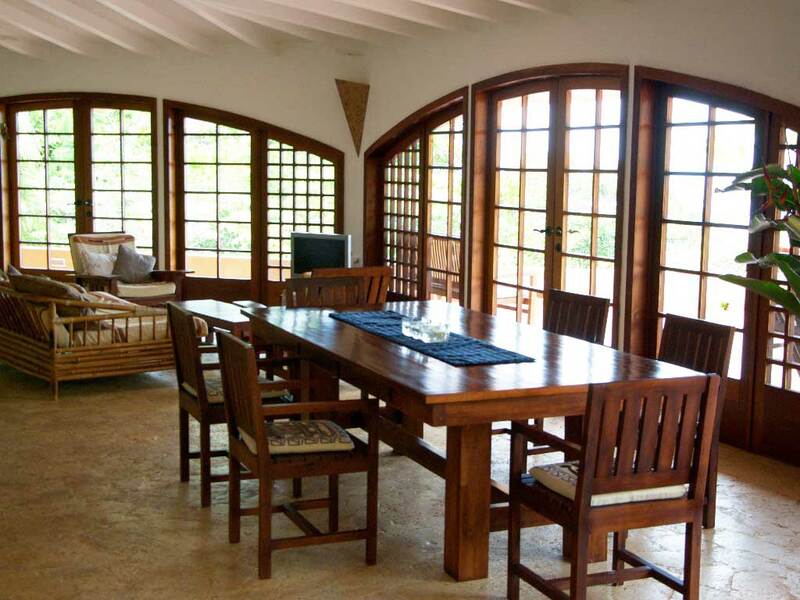 This beautiful studio allows you to immerse yourself with the surrounding nature. 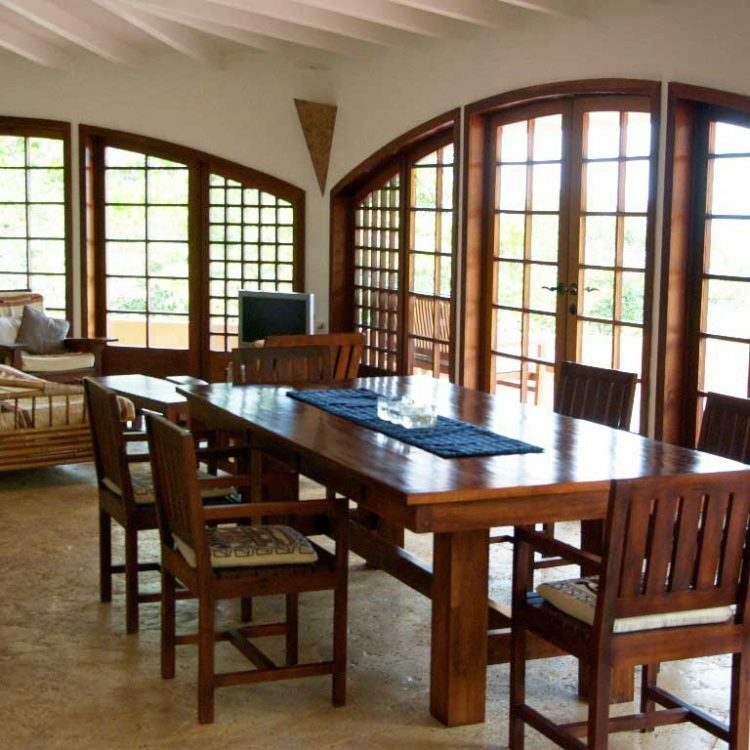 High ceilings with rich natural woods and an airy design that makes the best use of cool mountain breezes to maintain your home cool and comfortable year round. We have everything to make your custom home build a success. In Montana Samara you can take advantage of our long time relationships that come with being a stable, professional and reputable company. We have established trustworthy and responsible business partners and have negotiated special attention and discounted rates for all of our clients. Construction in Montana Samara costs from as little as $70/sq. ft. for American standard level finishes to $130/sq. ft. for high end finishes. This give you the freedom and ability to build how you want and stay within your budget. 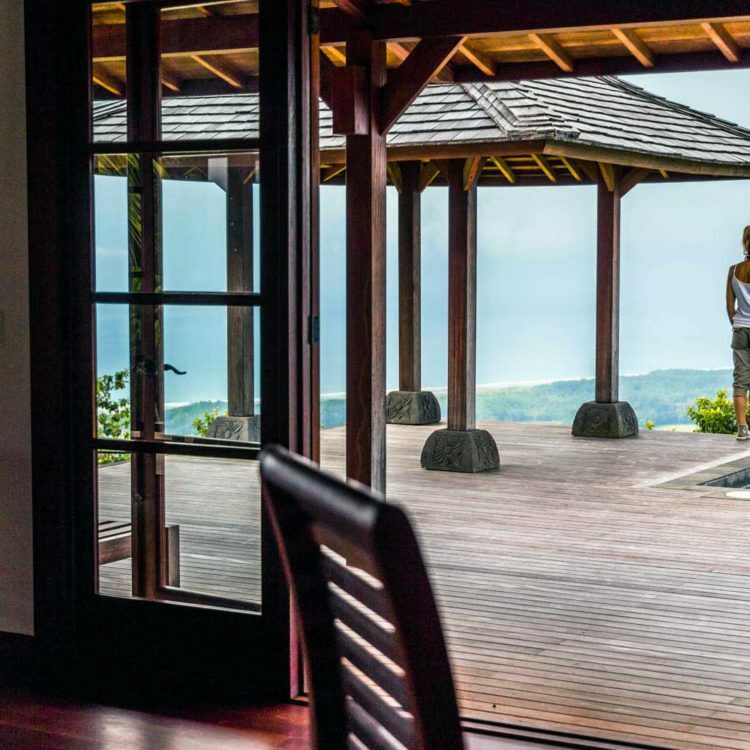 Our lots range from $39K for mountain view up to $150K for 1.5 acres of phenomenal ocean view from the very top of the mountain. Using the mid-way point of $100/sq. ft., a 2500 sq. ft. home would cost $250K to build. 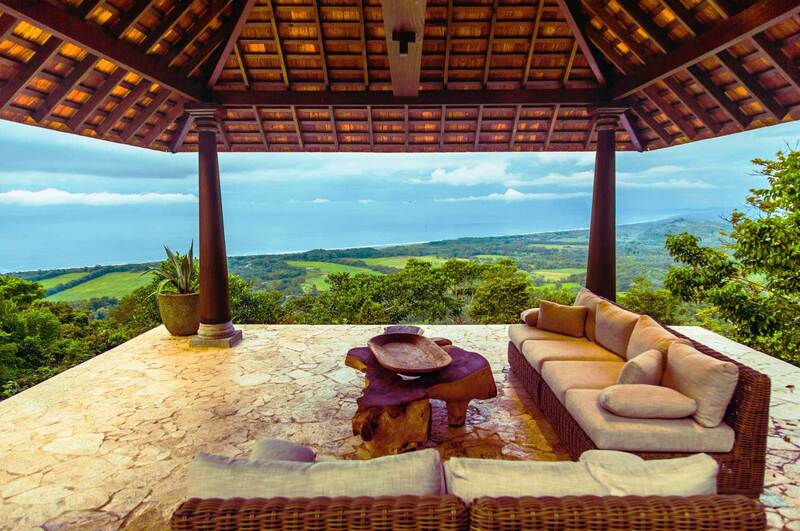 Put that home on a $100K ocean view lot and you have a home custom built for your specifications and vision worth more than half a million. See our property map and complete price list below. Join our 4,345 guest and community members and get access to the latest news, freebies, project announcements and trip give-aways!